Canada does not currently have an early child care and education plan or policy. Each province or territory provides its own child care policy and provides some spaces in regulated child care. Most child care is delivered through unregulated avenues, such as one parent staying home from work, care given by family relatives or friends, or from unregulated child care facilities. The costs of child care vary by region but most, with the exception of Quebec’s universal child care, are excessively high ranging from 15% of the women’s net income in Manitoba (approximately $800 a month per child) to 35% of the women’s net income in Surrey, B.C. (approximately $950 a month per child). Quebec alone holds their child care costs regulated and constant for all residents at $7 a day per child or $152 a month per child. The federal government has the new Family Tax Cut in the form of a non-refundable federal tax credit, capped at $2,000 and an increase to the universal child care benefit from the current rate of $100 per month per child under 6 to $160 per month. This benefit is taxable, so families who work receive less benefit than families who are on welfare. In addition, this policy does little to address the increasing inequality in assess to child care, the low wages and benefits from child care staff, the lack of integration of education and child care, and low quality early child care education and the staff to deliver it. For many Canadians there is a severe shortage of spots in child care, particularly high quality early child care education. In addition, there is a severe shortage of facilities able to properly care for children with disabilities, diverse cultural backgrounds or children of families with non-standard working hours. Chronic underfunding of the child care system in Canada has contributed to higher user fees and less child care facilities, and resulting long wait lists. As a result, regulated high quality child care out of reach for many families. Moreover due to low wages and poor benefits there are challenges to attracting and retaining qualified educators. As a result, the main alternative for many families is unregulated child care. Moreover, kindergarten programs cannot supplement child care for many parents with younger children or with non-standard work schedules. Therefore for the majority of families with children above the age of 1, when the parental leave typically ends, and under the age of 4, when kindergarten typically begins, there are limited affordable spots available. This leads to a meaningful gap in care and education between the age of 1 and 4. A publicly funded universal early childhood education and care policy aims to bridge this gap. The NCA recognizes that the creation of a universal early childhood education and care program is a national priority that is being inadequately addressed by the current child care tax benefits. In lieu of creating a coherent public system with long term goals, planning, substantial and consistent public funding, the provincial and territorial governments have largely relied on a child care policy that encourages dependence on the market despite evidence stating a public not-for-profit deliverance of child care is a much more effective and equitable way to deliver child care. The NCA supports a publicly funded quality child care program that facilitates both the social and educational development of young children. This Canada wide child care plan would require approximately $2 billion in funding. In order to meet this goal the program must be accessible to all Canadian families, and it must bridge the gap between education and child care. Further, to pay for the program, the NCA will reduce funding to other federal programs and cuts to unnecessary programs, and seek collaboration with the private sector. Furthermore, the NCA will open the Canada wide child care plan to private sector competition in order to reduce the program cost. In 2003 the UN Committee on Rights of the Child implored Canada to provide free or affordable child care. This request was part of a review on Canada’s ten year compliance with the Convention on Rights of the Child. Early Childhood Education and Care (ECEC) are public goods and human rights according to the United Nations, therefore, the NCA believes that they should be equitably available to all Canadian families. The NCA recognizes the intense impact early childhood education has on building the minds of young Canadians and lessening the gaps in education and attainment for different income groups. Children, as citizens, are entitled to their fair share of high quality early childhood education to build their futures. Regardless of income or age of the child, a child care space should and needs to be available to every child costing the same amount. 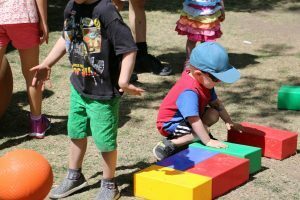 In order to justify its continued existence, publicly-funded ECEC centres must demonstrate that they provide significant economic and social benefit. The NCA believes that this is assured and facilitated by high quality and highly-trained educators. These high quality professionals help bridge the gap between child care and early education. In order to attract and retain these high quality educators, this policy involves the recognition of childhood educators as valued professionals and offer them opportunities and infrastructure to provide the appropriate training, wages, benefits and career opportunities. Moreover, ECEC must recognize and support a variety of schedules and therefore include full and part time care centers, regulated home based care, parenting support, and trained professionals to aid with children with disabilities. The national policy framework must be guided by the principles of comprehensiveness, universality and high quality. Moreover, a long term and sustained funding plan must be established, and data must be collected to track the successes and weaknesses of the new program. The NCA supports the social and educational development of all Canadians. In addition, the NCA acknowledges that access to quality early childhood education and care provides children a distinct benefit upon entering primary school. This benefit is currently restricted to higher income Canadians as the cost of child care is beyond the grasp of many families. Further, NCA believes that the introduction of a publicly funded universal early child care program will not only reduce income inequalities in access to child care but also allow mothers to reenter the workforce. These benefits will promote a healthier and more economically stable society. The NCA membership vote on 2015-02-13/15. 75 percent of membership in favour of the Child Care Policy Statement; 100 percent quorum. Minimum 70 percent membership support and 50 percent quorum required for adoption of policies as per the NCA Constitution.